A shared ownership remortgage has various uses and isn’t much different from a standard remortgage. The obvious difference is that the property is owned via shared ownership and isn’t owned outright. This means that a shared ownership remortgage can only be obtained from lenders that offer shared ownership mortgages. Our specialist advisors are very experienced in both shared ownership and remortgages. Being whole of market also allows our advisors to access every lender that offers shared ownership remortgages. You can ask our experts a question at any time by making an enquiry. What is a shared ownership remortgage? A shared ownership remortgage is where a new mortgage is taken out on a shared ownership property. A property with shared ownership may have been purchased through a government mortgage scheme, such as the help to buy shared ownership scheme. Shares in a property usually vary from 25-75%. Remortgaging a shared ownership property can enable you to increase your shares to 100% until you own the property outright. This is known as shared ownership staircasing. Shared ownership staircasing allows the shareholder to continually buy shares of a property. Think of this as climbing a staircase, one step at a time (or a few shares at a time!). Staircasing can usually be done up to three times, but do check the terms and conditions with your housing provider. Shares are increased by either taking a further advance or as a shared ownership remortgage. Further advance: Your existing lender may agree to offer you a further advance of funds to increase your shares in the property. To do this, lenders will usually carry out a property valuation to establish if there’s enough equity. Lenders may also carry out a revised affordability test, so may request your most recent proof of income. Shared ownership remortgage: By changing to a new lender, you may be able to apply for a larger loan. This means that you can repay your current lender and have surplus funds to purchase additional shares. Valuations and income assessments may also be carried out. Please note: Shared ownership will have varied terms and conditions, depending on who your scheme is with. It’s advised to make your housing provider aware that you wish to remortgage. Our advisors can also help you with this. Once you’ve made contact with your housing provider and informed them of your intentions to remortgage, they’ll normally request a property valuation. A valuation will determine the value of shares. This will give a clear indication of whether or not there is any equity in the property and also the value of shares you wish to purchase. For example: If your property is valued at £150,000 and you want to purchase an additional 25% share, the purchase price will be £150,000 x 25% = £37,500. Ensure the valuation is carried out by an accredited surveyor, such as a qualified RICS member (Royal Institution of Chartered Surveyors). This is because your housing provider usually won’t accept valuations from estate agents unless the valuer has RICS accreditation. Your housing provider may also provide you with accredited surveyors that you can choose from. Valuations will usually have a lifespan of 3 months. If you don’t remortgage within 3 months of your valuation, then you’ll need to reschedule another valuation. Ensure everything is in place to avoid letting the time period lapse and incurring additional fees. The main reason to remortgage a shared ownership property is to increase the number of shares owned. Increasing shares in a property enable you to gain from any increases in the value of the home. As equity starts to build up, remortgaging becomes easier and a lot more viable. Staircasing is popular as it’s a common goal to try and own a property outright. Increasing shares will also reduce any rent you are paying. If you ever decide to sell your property, the more shares you own will enable you to cash in, especially if the property has increased in value quite considerably! If you do staircase your way to owning 100% of the property outright, you won’t have to pay any rent at all. You may want a shared ownership remortgage to get a better deal. Your current mortgage could be at a higher rate than you’d like or your initial discounted period may be coming to an end. A remortgage can enable you to get a better interest rate and also provide you with more flexible terms. As reasons for wanting a shared ownership remortgage can vary so much, it’s highly advised to seek advice from a specialist broker. 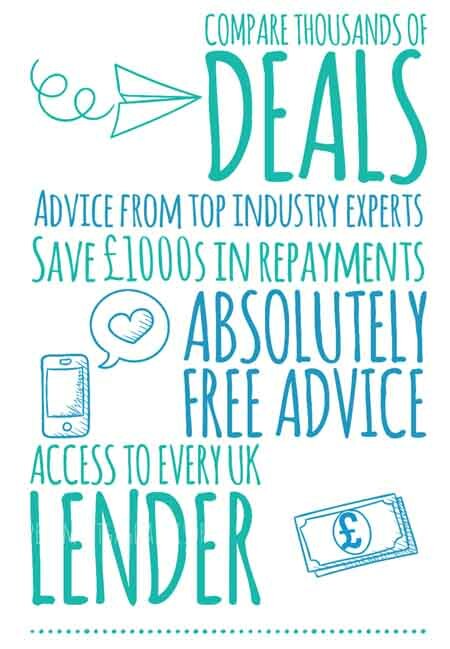 Our advisors can assess the reasons for your remortgage and find you the best available deal. As with every mortgage, there will be associated costs. Remortgages for shared ownership generally have slightly higher costs involved. This is because not every lender will entertain mortgages involving shared ownership. As the market isn’t considered mainstream, it is less competitive. As a result, the lenders that offer shared ownership mortgages tend to charge slightly higher fees. That being said, there are still some pretty good rates available. 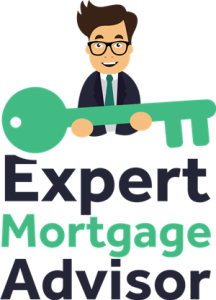 It could be cheaper remortgaging with your current lender, as changing lenders typically incurs costs. On the other hand, lenders may offer to cover any fees involved in the remortgage. Please note: All remortgages vary in the fees above. Some remortgages may include all, none or part of the fees mentioned above. Fees such as stamp duty are non-negotiable but there are often options available, such as paying stamp duty in stages. Shared ownership staircasing or a simple remortgage? Depending on your reasons for remortgaging, it’s difficult to know what your best option would be. Your goal may be to own your property outright via shared ownership staircasing, or you may simply want to remortgage to a better rate. You can make an enquiry below to ask our advisors a question or start the remortgage process.